The M/V Freedom, measuring 35 meters in length, is an ATB Tug operated by Express Marine Inc. After leaving the dock at Patti Shipyards in Pensacola, FL, the M/V Freedom went through the Panama Canal, then up the West Coast to Gunderson Marine in Portland, OR, where the tug's 482' × 90' barge was being built. The tug is mated to the barge, using a Beacon Finland JAK-700P pneumatically actuated and electrically controlled ATB coupling system. To increase crew comfort, noise and vibration levels were reduced by a floating floor system made up of a composite structure that features 10-gauge plate over 2" of mineral wool that keeps vibration from being transmitted to the plate. The wall paneling has extra noise reduction built into it, and the main engines and gensets are all flexible mounted. The main engines are a pair of EMD 12-710G7C-T2 diesels putting out 3,000 hp each at 900 rpm. They power SteerProp SP35 azimuthing propulsors with 9.2' (2,800 mm), 4-bladed props. These are the largest SteerProp Z-drives ever installed on a U.S. tug, Stone said. The tug also features a North Pacific Crane Co. MCT 10-40, 10-ton telescoping boom hydraulic crane with a 40' reach, and a pair of JonRie Intertech 20,000-lb.-capacity hydraulic capstans. 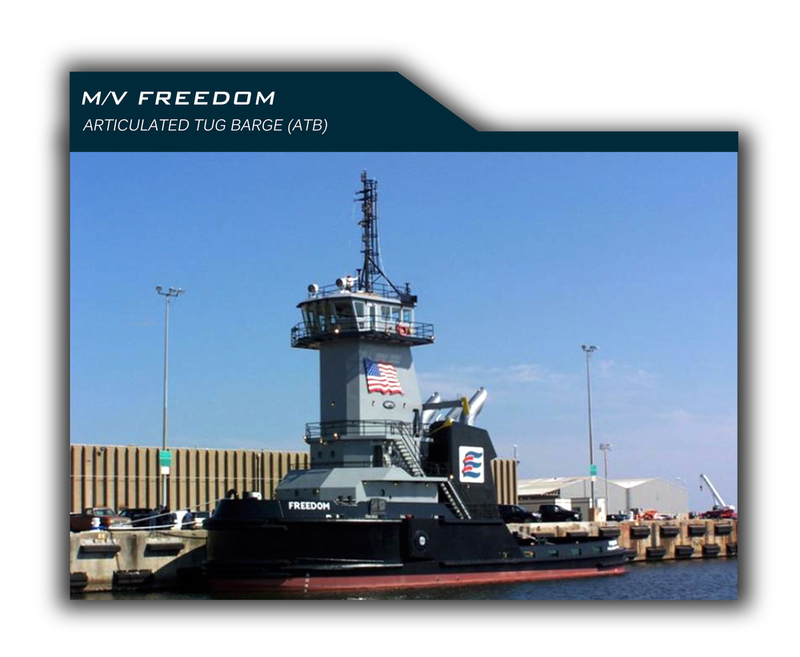 The tug is classed ABS Class A1 Towing Service AMS Machinery, ABS Load Line Assignment and is certified USCG Subchapter C (Uninspected Towing Vessel).